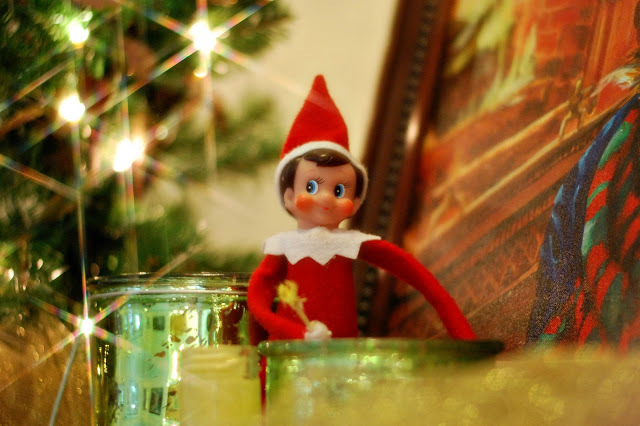 This morning it took us a while to find the Elf, but we saw that he moved from the cookie jar. Can you see him? He blends in! The first thing LilMan says, "What is in his hand? What is he doing?" Well, he is touching up my painting!!!! Pin It Sly little thing.